This is the Large Hawk, a slightly longer handled polled(19in) Hawk with a heavier head (1.5lbs) and a longer cutting edge of 4in with a 6.5in head length. 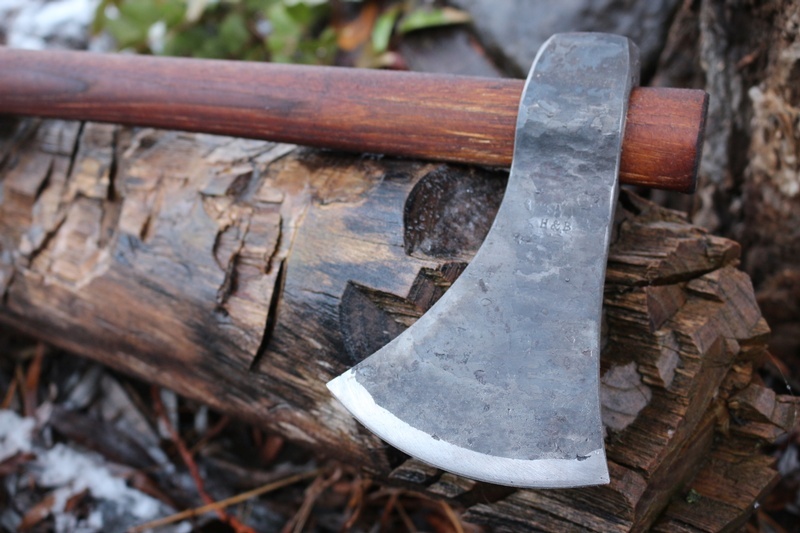 Hand forged in the USA this is a 19in polled Camp Hawk, the tool is the direct lineage from the Forests of the Frontier, used by the hands of the Woodsman and First Nations alike. 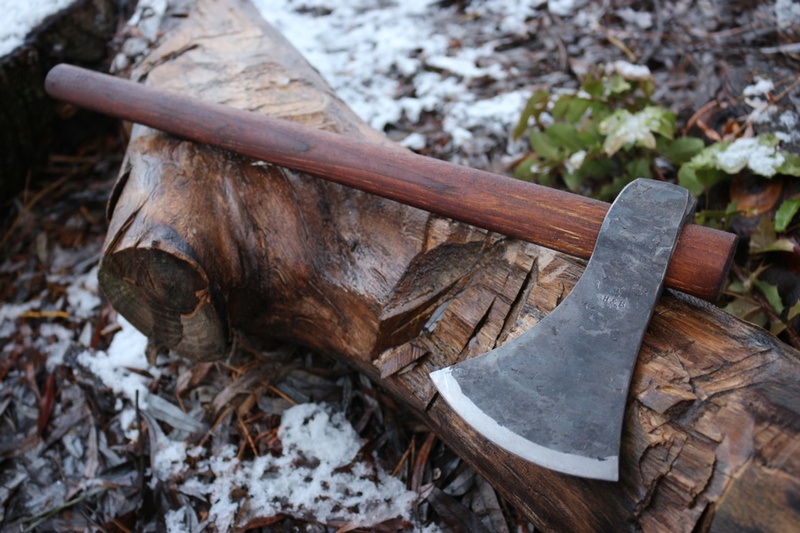 Hawks are great cutting tools and are often used as an all purpose knife/axe. 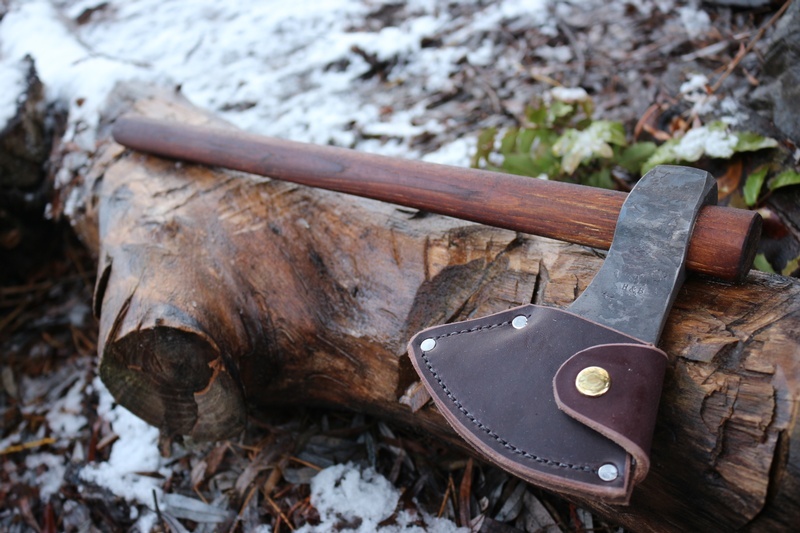 The hickory handles and leather blade covers are hand made by an Amish Community located near H and B. 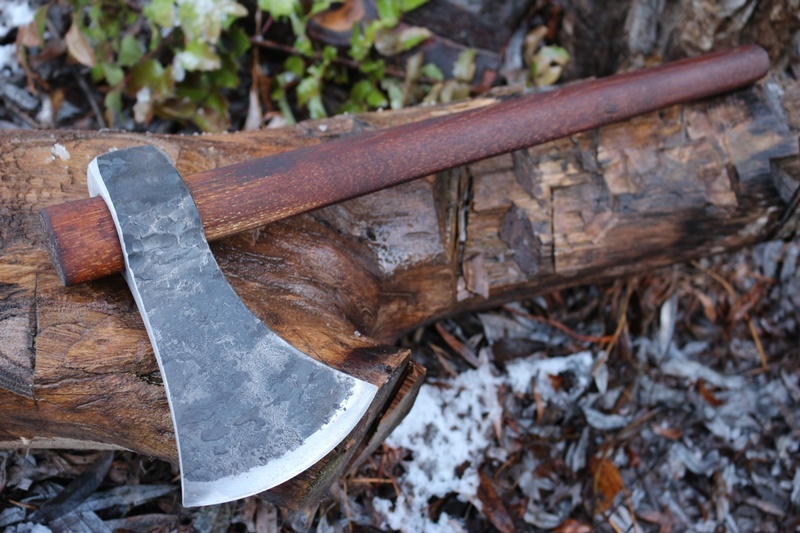 Purchase through PayPal by using the "Add To Cart" button above or use the form below to order the H and B Forge Large Hawk . 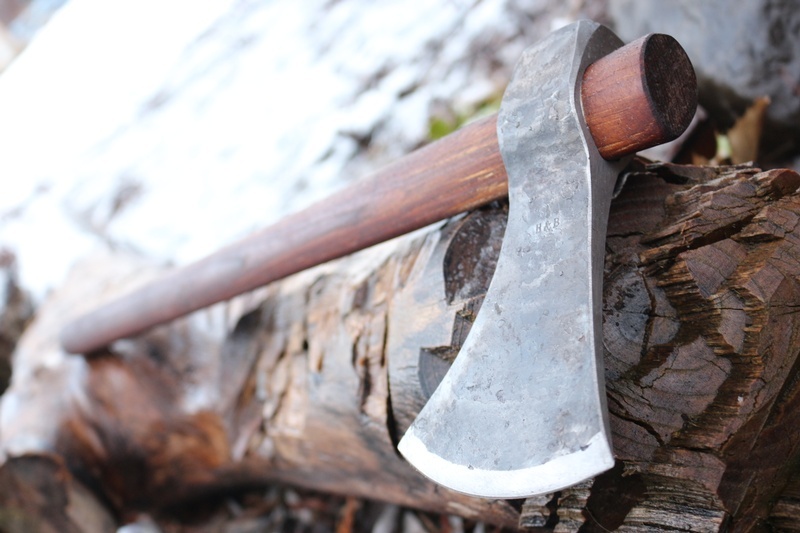 Feel free to contact us if you have any questions about the H and B Forge Large Hawk .